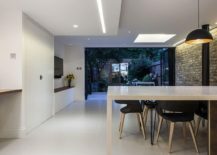 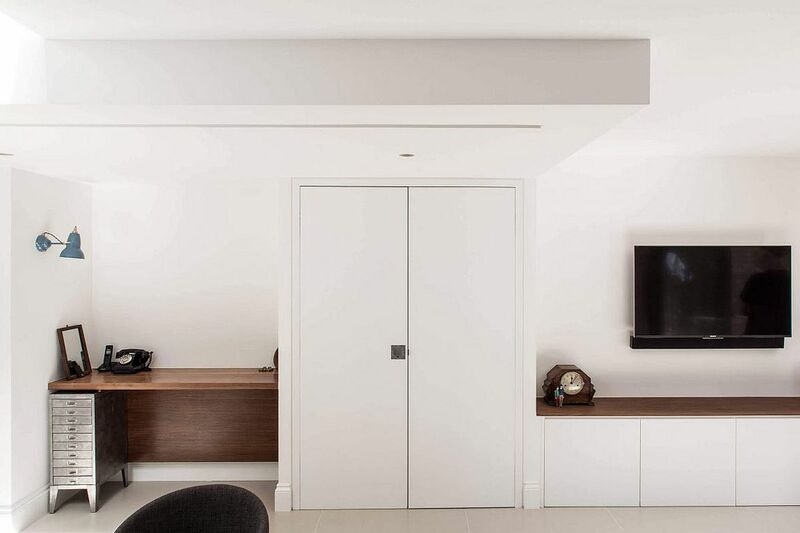 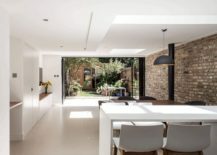 A rear extension is one of the best options for those looking to add a living area to the existing home without the need for major renovations. 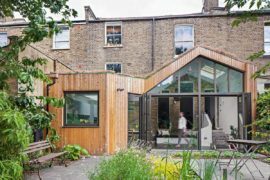 This approach saves both time and resources and allows the homeowners to enjoy greater connectivity with their garden or backyard. 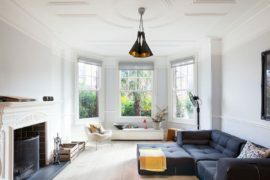 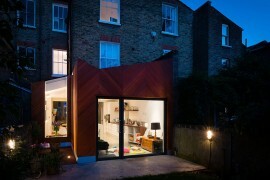 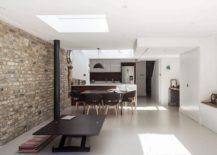 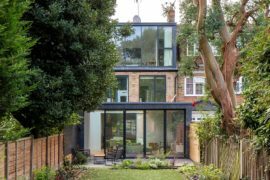 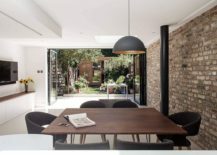 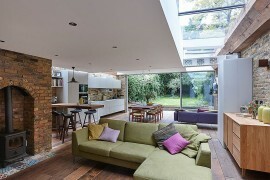 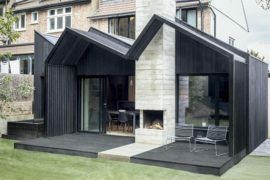 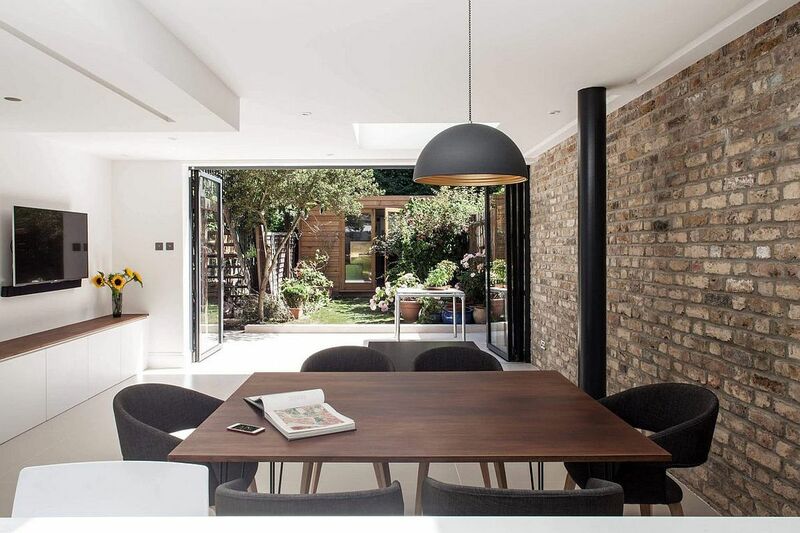 This classic home near London Fields takes precisely this route, as its homeowners wanted a new social and family zone that was connected to the rear garden at all times. 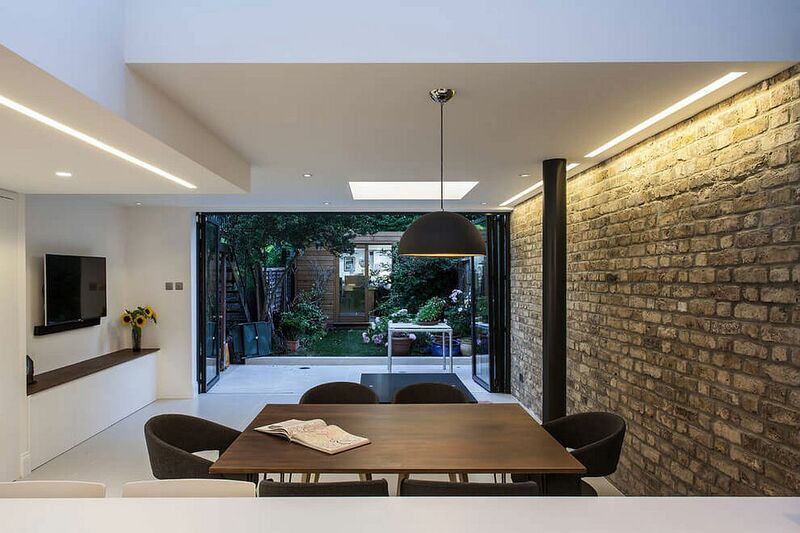 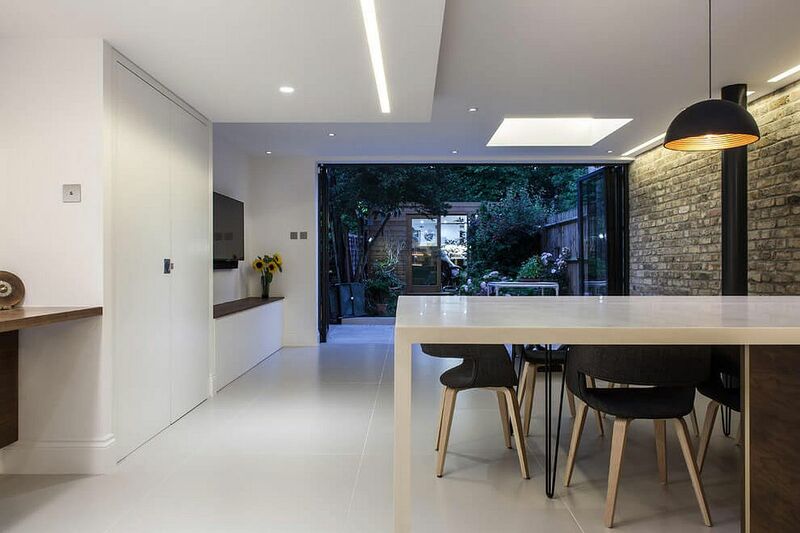 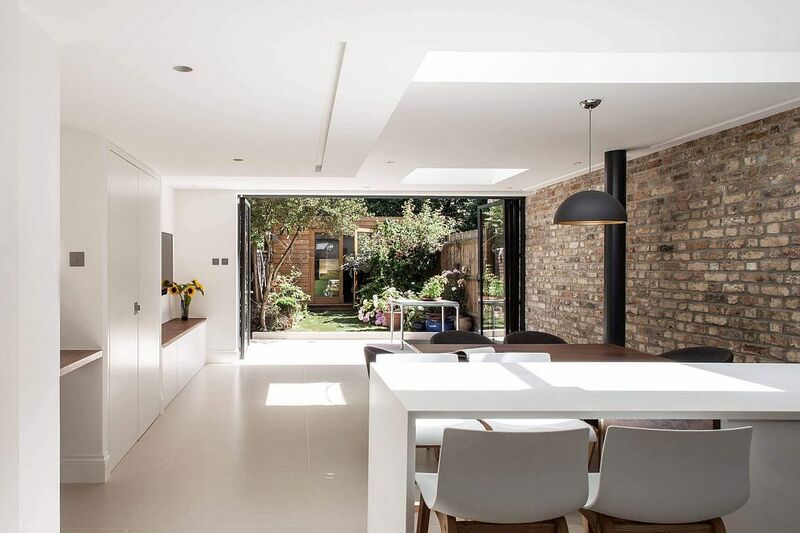 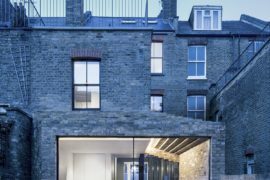 Hackney Jeweller’s Extension and Interior was revamped and extended by Edwards Rensen Architects to meet the growing demands of the family without splurging on a major renovation. 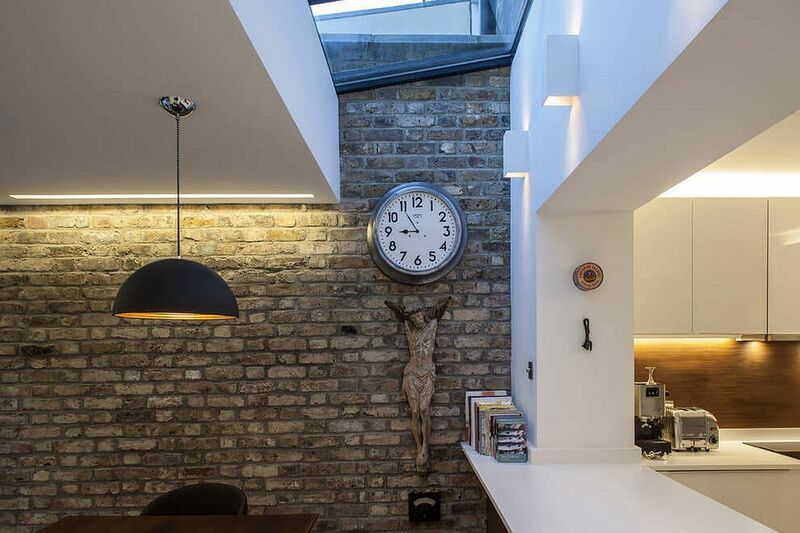 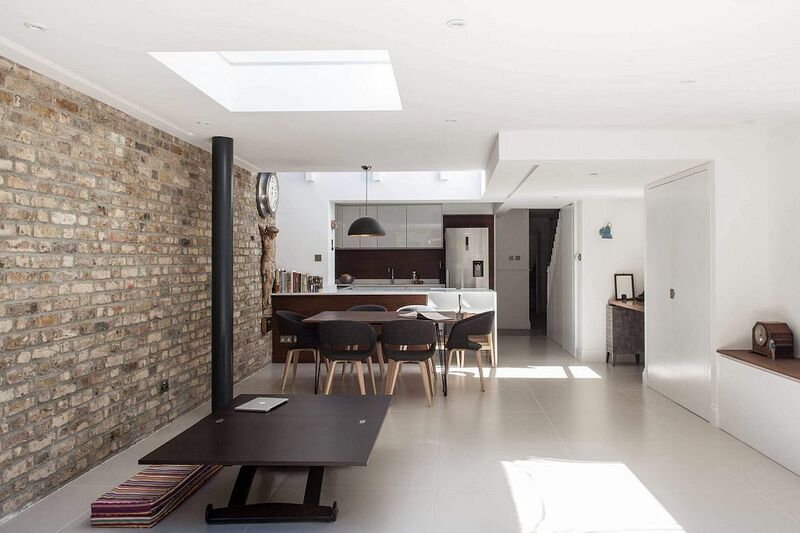 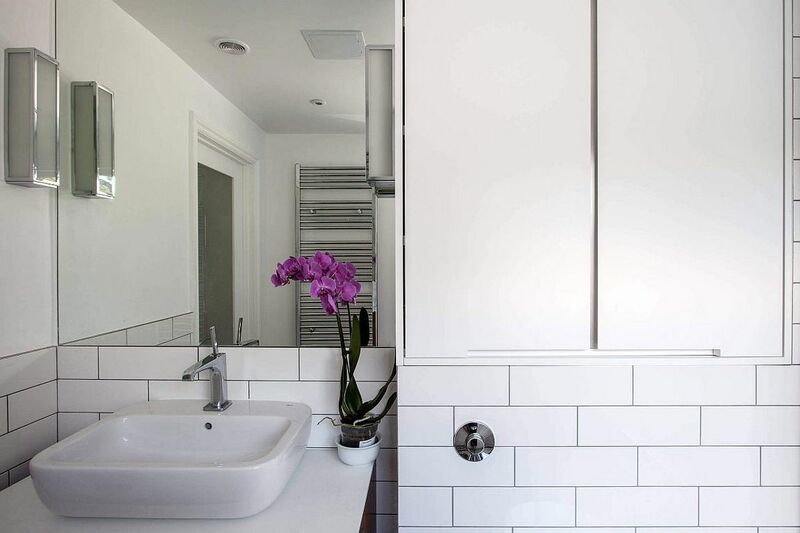 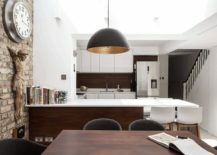 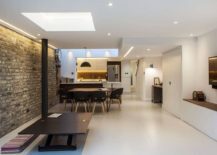 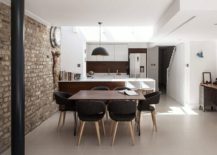 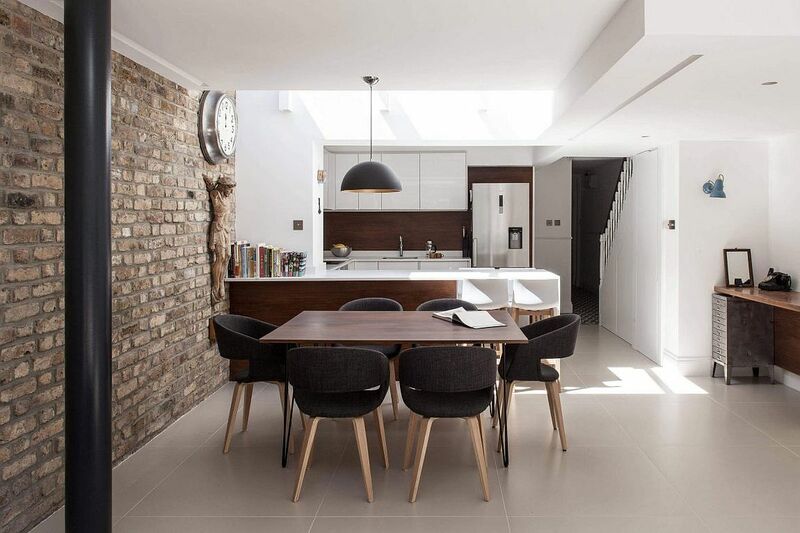 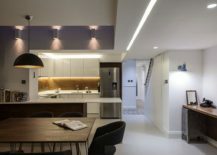 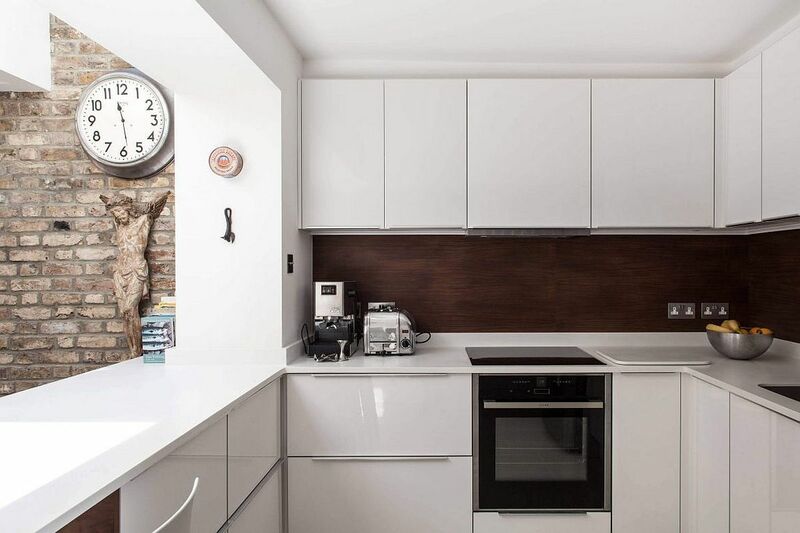 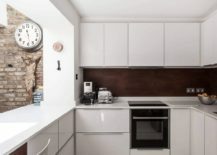 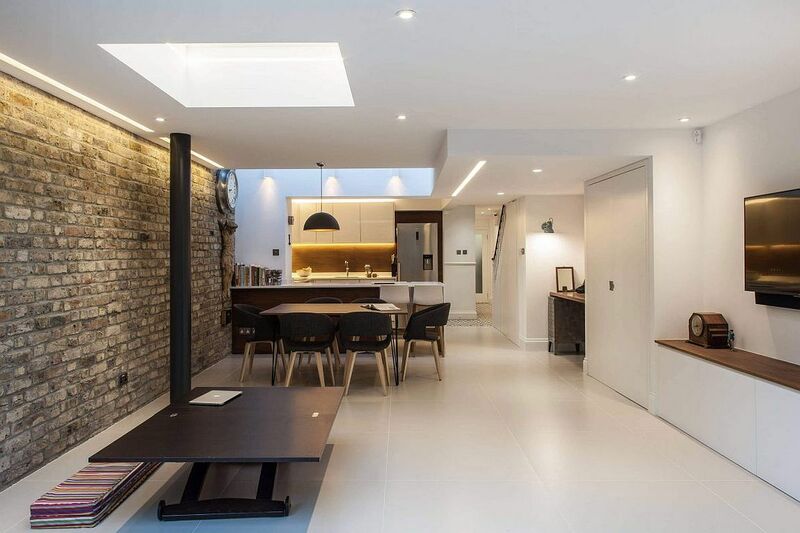 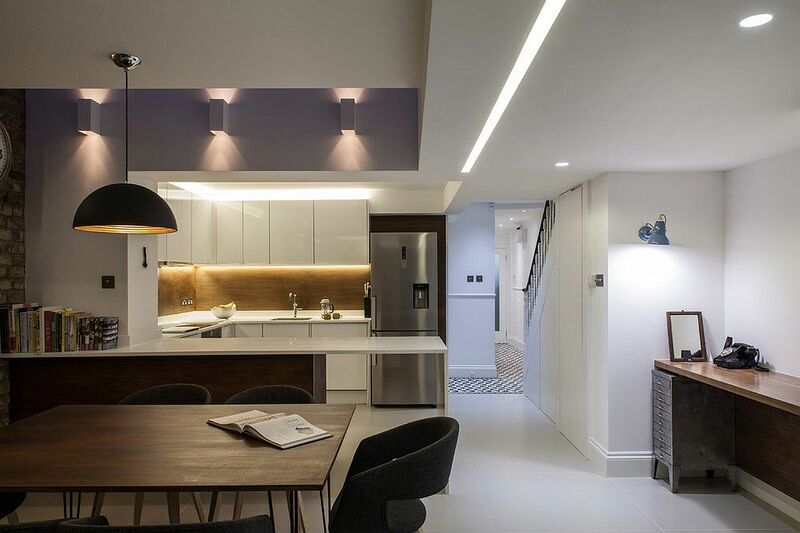 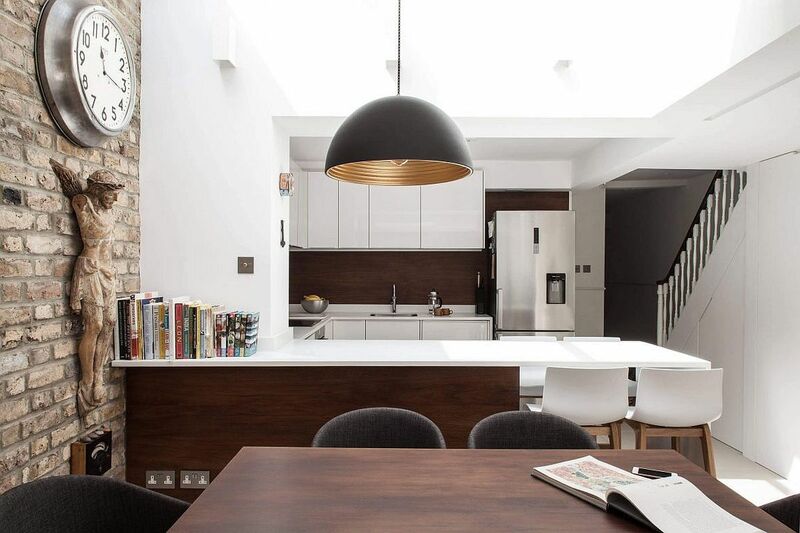 One instantly notices a blend of the traditional and contemporary inside this London home, with exposed brick walls sitting comfortaby next to polished modern surfaces. 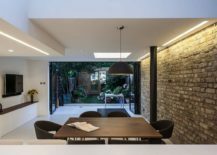 The carefully curated contrast perfectly encapsulates the spirit of the extension, even as the open sitting zone, dining area and kitchen act as the new family space. 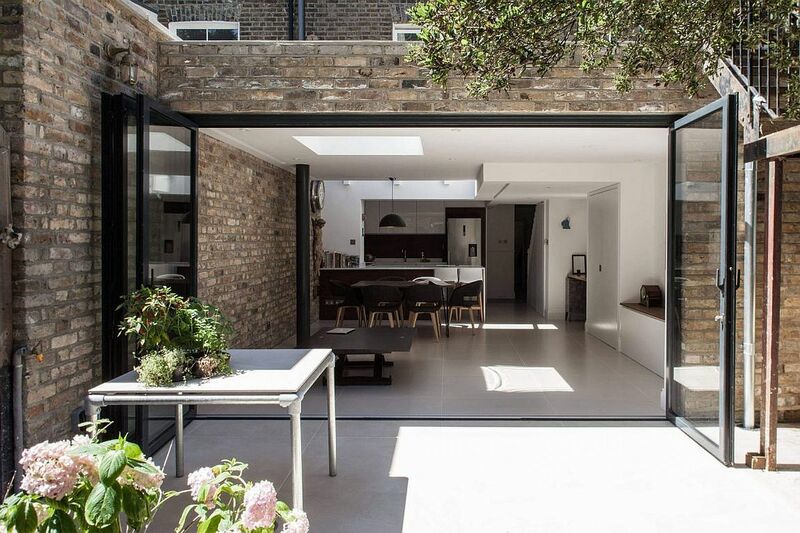 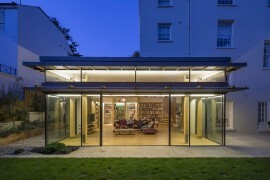 Folding glass doors connect this area with the small garden, and the entire space becomes one visually. 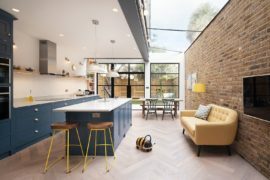 The greenery outside also becomes a part of interior and enlivens an otherwise neutral space where color is kept to a minimum.